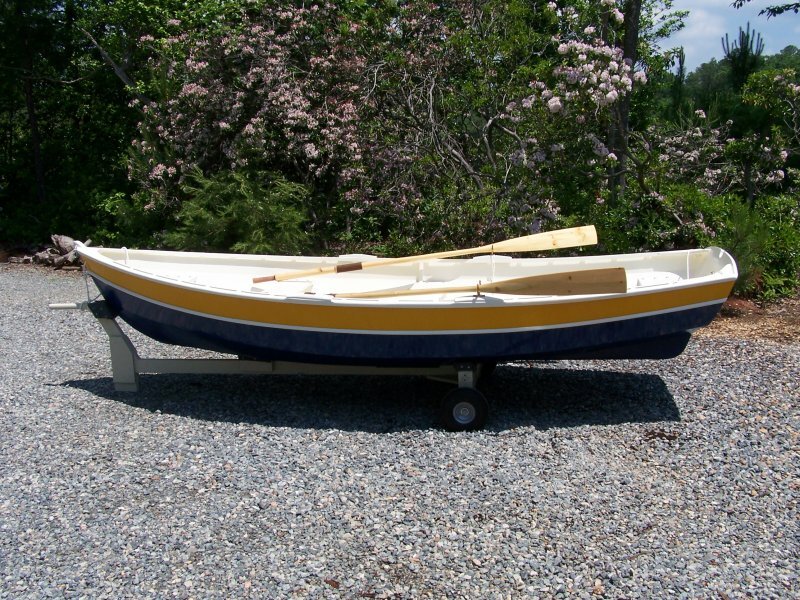 WOODEN NICAL is a Joel White—designed Pooduck Skiff built by John Newcomb. 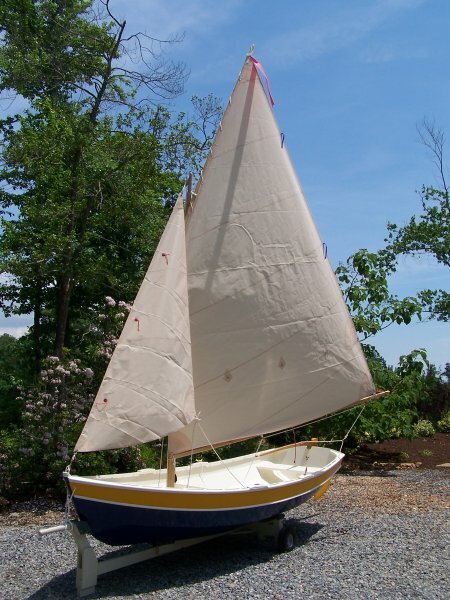 He built WOODEN NICAL with okoume plywood planking, with a white oak keel, stems, knees, and 'midships frame. The spars and oars are laminated spruce. He took the white oak from a tree that had grwon on his land, and fell due to Hurricane Isabel in September, 2003. John writes that he started construction in January 2008, but didn’t finish until May, 2010 because of a condition he calls laborius interuptus, which he defined as a sporadic work schedule. His wife, Cathy Newcomb, and his neighbor, Bill Kurz, took these photographs of WOODEN NICAL’s launch on May 16, 2010. 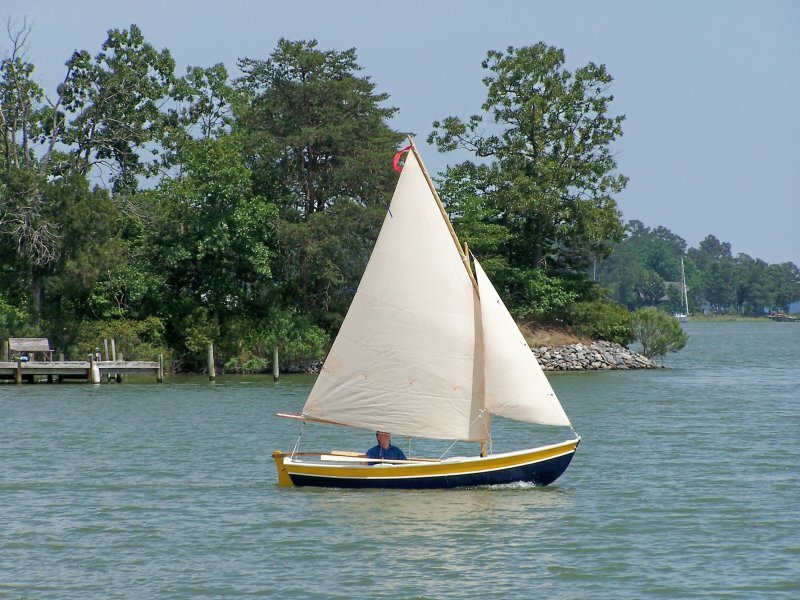 John named the boat for his dog, Nical, who likes cruising with John and Cathy around the rivers near their home in Urbanna, Virginia.